Cruz del Sur is the most widely recognized bus company in Peru. Over the last few years, it has also generally been one of the most recommended bus companies around. 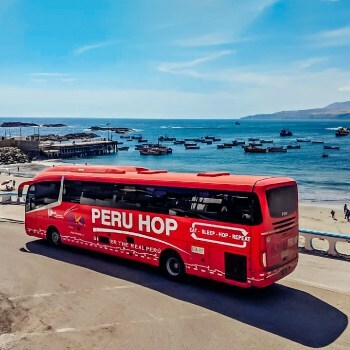 However, with the emergence of the increasingly popular hop on hop off bus service Peru Hop (started in 2013), and improvements made by other local bus companies such as Movil, Oltursa and Civa, is it still best option out there? Cruz del Sur has the best domestic coverage of any Peruvian bus company. With terminals in almost all of the major cities in Peru going from Tacna in the far south to Tumbes in the north, along with more than 25 destinations in between. 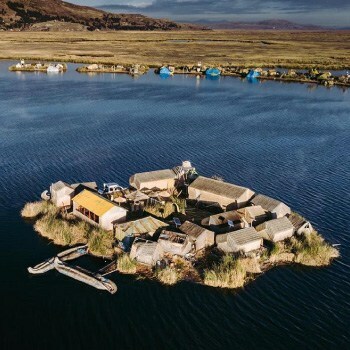 These include all of the main coastal destinations, as well as highland cities like Cajamarca, Huaraz, Huancayo, Ayacucho, Cusco, Puno and Arequipa. Peru Hop Ica, Paracas, *Huacachina (Peru Hop is the only direct bus to Huacachina in Peru. If taking a public/local bus, you would need to take a bus to Ica. 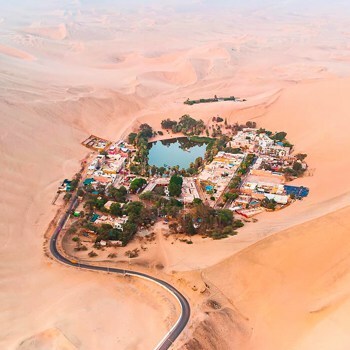 Once in Ica, you would need to find a local taxi to then take you to Huacachina), Nazca, Arequipa, Puno and Cusco. This round has to go to Cruz del Sur due to the number of destinations they go to. Whilst their coverage is excellent, their reviews have not always been so favourable. Cruz del Sur also goes to more international destinations than any other Peruvian bus company. Heading north, buses run through Guayaquil and Quito in Ecuador before heading to Cali and then Bogotá in Colombia. They also head south to Santiago in Chile, with two routes into Argentina, one through Córdoba and one through Mendoza, both terminating in Buenos Aires. 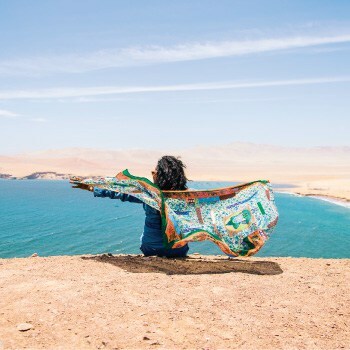 Although Peru Hop mainly goes to the south of Peru, they also have stops in La Paz and Copacabana in Bolivia with their sister company, Bolivia Hop. Due to its international destinations, Cruz del Sur beats Peru Hop, Civa and Oltursa here. It can never be said that Cruz del Sur don´t invest in comfortable buses. 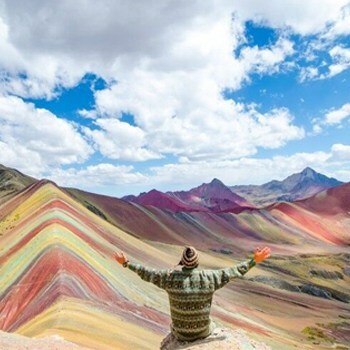 Their buses are amongst the top of the range, and whilst their safety levels have been questionable, especially on the routes to Cusco, their buses are always comfortable. Because Peru Hop is a relatively new company which only started running a few years ago, all their buses are brand new and comfortable with reclining seats. They don’t have double-decker buses for safety reasons(the narrow, winding roads going up and down the mountains on most routes) which means that their buses aren’t as big and that they can’t get as many passengers on board. Unlike other bus companies, they don’t have different classes of seats on their buses so you don’t have to worry about paying extra for comfort either. Both Civa and Oltursa have a variety of buses ranging from luxurious to average. It really depends on the length of the journey and the route it’s going on. This round is a pretty close one between Peru Hop and Cruz del Sur, but due to the sheer number of buses owned by Cruz del Sur and the consistent standard of comfort across their fleet, this round just about goes to Cruz del Sur. There have been incidents on Cruz del Sur involving hijackings (which can be googled or read on their tripadvisor page) and from what we have read, their response to such incidents leaves a lot to be desired. As tourists in Peru, there is not a lot you can do, and Cruz del Sur know this, so are inclined to fob you off. They tend to not be very helpful towards their customers after such incidents have occurred, leaving people stranded for hours and not offering any sort of compensation. 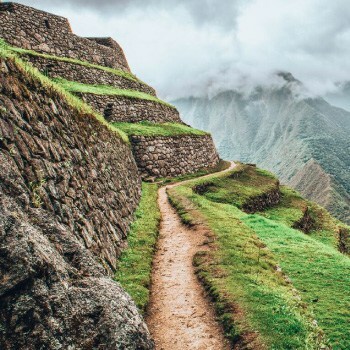 Traveling with a reputable company dedicated to tourists, such as Peru Hop or Inka Express, is probably a much better option for those more safety inclined. This round would go to Peru Hop hands down, with a tie between Cruz del Sur and Oltursa for 2nd. As you can see, Cruz del Sur offer more coverage and international services but, Peru Hop wins based exclusively on tripadvisor tourists (again showing they are more focused on the tourism market than any other company) and for safety, which can’t be emphasised enough. Anyway, this isn’t an advert for Cruz del Sur or anything like that. The idea is to allow our readers to get a more insightful view into what is supposedly the best bus company in Peru. In general, Cruz del Sur drivers tend to be responsible, their terminals respectable and the onboard food is surprisingly edible. The bingo is annoying, that’s for sure, but it’s not exactly a deal breaker. 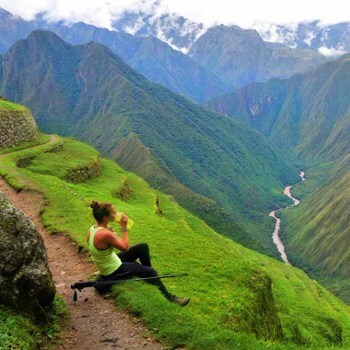 If you are a first time traveler to Peru, Peru Hop is probably a much better way to see Peru given their extra stops and ease of pickup and drop off service. For continuing travel in South America, Bolivia Hop and Ecuador Hop are also great options. If you’re a local living here looking to go from city to city for business or to visit family, then Cruz del Sur might be a quicker option. 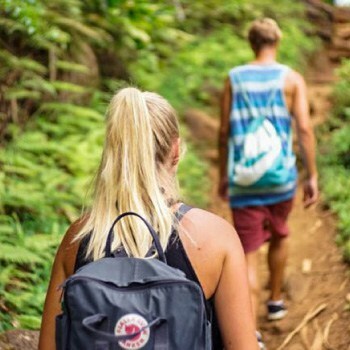 But remember, as with everything on our site, this is just an opinion, and we recommend you use travel blogs or tripadvisor to help you make your choice as to the best way to get around this amazing country, or read our post about The Best Bus Companies in Peru. Haha! Well, I guess compared to common annoyances on cheaper buses — like Steven Seagal movies and cumbia music — bingo really isn’t that bad. I’d love to travel by Cruz del Sur.. looking for Chacahapoyas – Cajarmarca – Huarez – Lima… but their website is just impossible to book from. I don’t think Cruz del Sur goes to Chachapoyas, but the other places should be fine. What kind of problems are you having with the Cruz del Sur website? Thanks Daniel. As far as I can remember, I’ve never tried to book a ticket through the Cruz del Sur website. But I wouldn’t be all that surprised if it didn’t work too well (or at all) — business websites in Peru are still pretty bad, generally. The Ormeño site never seems to work. Traveled with Cruz Del Sur last time I visited Peru and will not be taking it again! Horrible service that was terribly over priced. If you’re planning a Bus tour of Peru steer clear of them! traveled with Cruz del Sur recently and I’ll be honest, it wasn’t the best experience in the whole world. The bus broke down several times disrupting our plans, and the plans of pretty much all of us on board, significantly. The bus was pretty comfortable but could have been cleaner. I would be slow to choose the company again, from the other comments here I probably should have looked into Peru Hop instead. I might have just had an unlucky Cruz del Sur experience but they really could do with working on their customer service, definitely wouldn’t be recommending them to anyone! Poor service and nefarious customer service in Cruz del Sur. We travel for vacations in a night cruise in a Suite Cruise and we bought VIP seats on the ground floor, which are supposed to be the best and the most expensive. What was our surprise and our disappointment when we see that the seats are stuck to an air conditioner that stays on constantly and with an unbearable noise. We asked the crew member if he could turn off the machine and he says no because he has to stay on the whole trip. We could not sleep all night. We moved to the second floor where the seats were worse, the movement of the bus was noticeable and we could not rest at all. We filed a claim, they replied that no compensation was due. We complained again and 4 months later we are still waiting for a resolution in writing (when they have to answer in a month). I have already lost count of the times we have called Cruz del Sur and everything has been long and a terrible customer service. Finally, after being nauseated by telephone, they verbally tell us after our last call that the economic claim is not applicable and that they do not consider that there was any prejudice. Do not travel in Cruz del Sur, there are many similar companies that provide better service and at least value their customers.